Potential buyers need to follow a due diligence process when considering a property for purchase. One of the first aspects to check is to make sure there are no illegal structures built on the property you want to buy as the responsibility for those structures pass from the seller to the buyer. It would be prudent for the purchaser to stipulate as a condition of sale that an updated set of approved plans be provided. 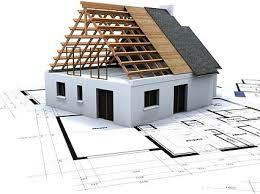 A property inspector like Inspect-a-Home can then compare the building plans of a property which have been approved by the municipality to what has actually been physically built. The second aspect is to check the state of the actual building. In South Africa, a seller provides a “seller’s declaration” to the estate agent where the known defects of the property are disclosed. However, the seller and estate agent have not necessarily climbed into roof cavities to check for damage or leaks, and might not reliably know if a building is structurally sound or if there are potential problems that may occur in the future. It would be prudent for the purchaser to stipulate as a condition of sale that a satisfactory home inspection to be done by an independent inspector. 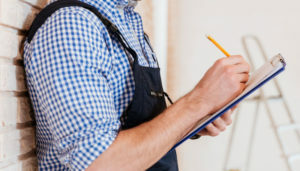 A building inspector like Inspect-a-Home can then do a full detailed inspection of the property, knowing and inspecting areas that would normally be overlooked by the estate agent / seller and raise red flags where necessary. Their report can then empower all parties to renegotiate the deal based on the results of the inspection, and/or will allow for the buyer to cancel the transaction if they are unhappy with the damages. See our other post “An insider’s guide to inspecting a property” for DIY checks that can be done by yourself as well.